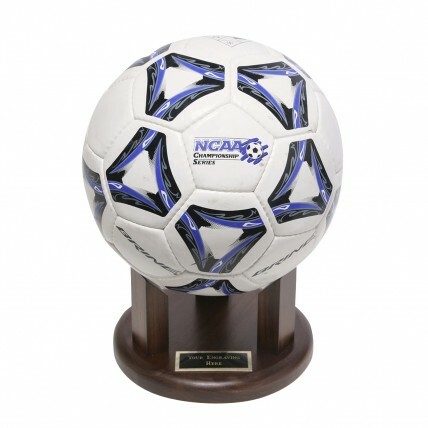 Soccer stars one and all will appreciate this Solid Walnut Soccer Ball Stand! With 3 solid walnut supports, this soccer ball holder trophy is sturdy yet classy making it the perfect soccer ball holder display for any home or office! Be sure to thank a special sponsor, coach or MVP with a personalized message engraved on our black brass plate for FREE!